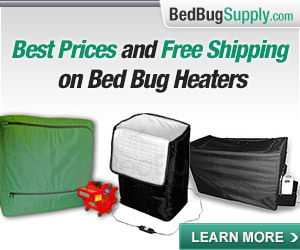 Bed bugs found in USAID offices in Washington, D.C. The pests were discovered in a single office in the US Agency for International Development office tower at the Ronald Reagan Building and International Trade Center. A spokesperson for the USAID wasn’t able to say immediately how the bed bugs got into the building, but says there is no evidence they are present in other locations. 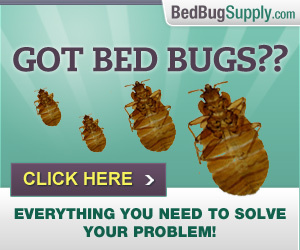 Bedbugs can hit any location, and all kinds of offices are being infested. They are surely present and as yet undetected in locations all over Washington D.C., including other federal offices. If the embedded video does not work for you, you can view it on MyFoxDC. 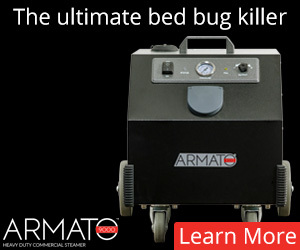 Bed Bugs are a serious problem even in Washington D.C. It’s exploding on an epidemic scale across the United States. 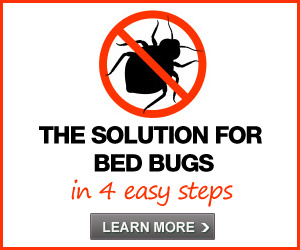 Hotels, office buildings and movie theaters alike will suffer with the infestation of bed bugs until a proven and safe method of extermination is introduced and approved for use in the U.S. market place. 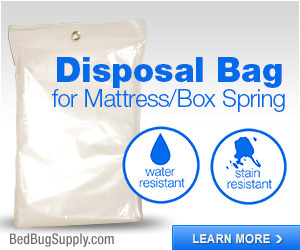 All natural bed bug product are still a safe and effective alternative. 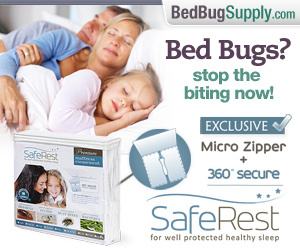 I would be very grateful for more information about JUVENILE bedbugs esp. in public or shared spaces (like offices, trains, stores). I find that swarms of juveniles are not detected in inspections–they’re too small to see unless you’re looking into a *trap* with a flashlight and magnifying glass–and I have no idea what dogs do with them, if anything. We really need new categories beyond “infestation” and “no infestation”: one can have a workplace or apartment that lacks an “infestation” and is nonetheless overrun with hungry bedbugs coming from elsewhere in the structure (typical, recognized) or (less well-recognized) recently hatched out from 1 or 2 pregnant adults who happened to travel to the location. This is surely how infestations get started in public/office spaces without a sleeping host to concentrate the population. In very crowded/high-traffic places (schools, offices, stores, trains and platforms, laundries, hospital waiting rooms, anywhere people sit or (stand in/on line) pregnant bedbugs must get delivered daily many, many times–just those hatchings would produce a groundcover of juveniles that then travel all over with the people, bags, shoes, that come through, get taken home not once but several times and voila–everyone in a city has the necessary start (or re-start) for a residential infestation. A handful of juveniles in the hatching location would get enough to eat to mature and themselves reproduce–thus adding more juveniles to those places, etc. 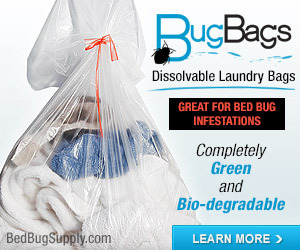 For this reason the inspection/eradication/vigilance approach is necessary (now) but ultimately, exhaustingly futile–there is no way to address the constant resupply of juvenile, travelling bugs in every part of the city–or one’s life–so that the bedbug battle is a continuous drain of time, money, and physical labor for everyone. We need to find a chemical means to disrupt the reproductive cycle–and make a home-and-office fumigation unit available to regular consumers, something installed like a regular large applicance. 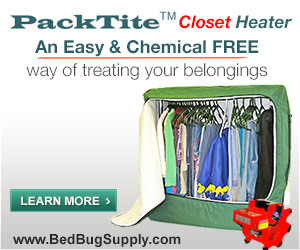 Better yet, a two-function packtite-like heating unit that also functions as a fumigation chamber, roughly the size of a dishwasher. Finally–if you’re exposed during the day, they end up in your hair–you have to wash your hair every night immediately before bed or you will bring them back in with you whether you know it or not. 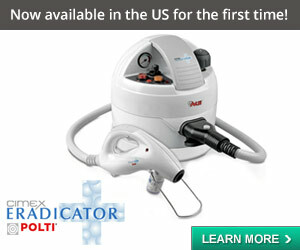 Finally, a silver lining to going bald! 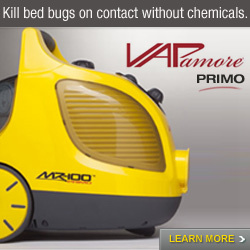 I found the reference to juvenile bed bugs in the article a bit peculiar. 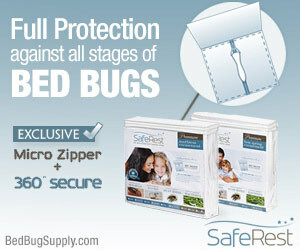 Bed bugs have five nymphal stages. The smallest, first instar nymphs, are visible, though difficult to see due to their size, and if unfed, they’re transparent. On the other hand, I would venture that “swarming” nymphs (which you mention) would be easily detected visually by the trained eye. A canine scent detection unit worth its salt would be detecting nymphs as well as adult bed bugs. 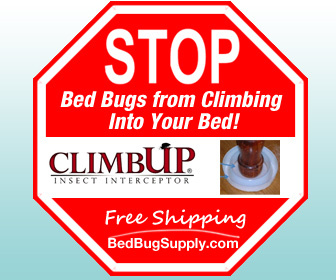 Although some people think that many bed bugs need to be present in order for us to refer to “an infestation,” I think it takes very few. And remember that bed bugs may harbor and feed on someone in an office environment; office bed bugs are not necessarily en route somewhere else, and their victims need not be asleep. Temporary motionlessness (as in sitting for long periods) will do just fine. Perhaps “swarming” is misleading, and perhaps “visible” may depend on conditions: let’s say maybe 6-8 1st or 2nd stage nymphs, or even a few high-speed young adults in already-crowded, poorly lit, dusty and/or dirty conditions (public school classrooms, subway platforms, carpeted floors in front of pharmacy cash registers) may not be easily visible to adult humans with average middle-aged distance vision for very small things on the floor. 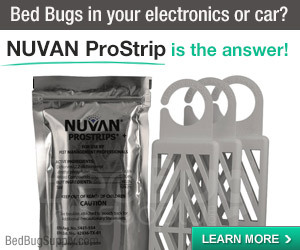 A requested inspection of such a place that yields a “no visible evidence” result where nonetheless both bugs and bites are common, constant, persistent, and increasing but where personal monitoring is impossible I guess leaves us at a stalemate. I would note a correction to my username that may be helpful: it’s ‘No Anesthetic’, meaning, it doesn’t work on me, and the bites in real time are like spider bites of differing sizes. I grew up on the Gulf Coast and am very familiar with fleas, mosquitoes, and actual spiders of several varieties, as well as no-see-ems, and these are something else altogether. They’re all over the subway platforms in New York City, big and hungry and ready for transport, for example–but no one reports this, that I know of. The platforms are worse than the trains themselves. 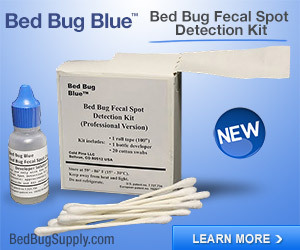 There are various detection methods you might employ in an office setting. Some of the monitors described here should work. 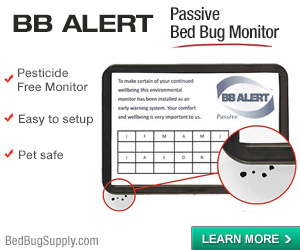 Your workplace could also call in a bed bug canine scent detection unit, though many experts feel it is important that a team verifies a dog’s alert visually. Please come to our active user forums if you want to discuss this further.